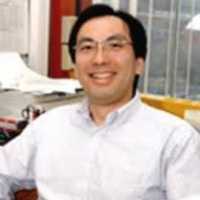 Dr. Fukumura: This study focused on pancreatic ductal adenocarcinoma, the most common form of pancreatic cancer, which accounts for almost 40,000 cancer death in the U.S. ever year. Half of those diagnosed with this form of pancreatic cancer are overweight or obese, and up to 80 percent have type 2 diabetes or are insulin resistant. Diabetic patients taking metformin – a commonly used generic medication for type 2 diabetes – are known to have a reduced risk of developing pancreatic cancer; and among patients who develop the tumor, those taking the drug may have a reduced risk of death. But prior to the current study the mechanism of metformin’s action against pancreatic cancer was unclear, and no potential biomarkers of response to metformin had been reported. We have uncovered a novel mechanism behind the ability of the diabetes drug metformin to inhibit the progression of pancreatic cancer. Metformin decreases the inflammation and fibrosis characteristic of the most common form of pancreatic cancer. We found that metformin alleviates desmoplasia – an accumulation of dense connective tissue and tumor-associated immune cells that is a hallmark of pancreatic cancer – by inhibiting the activation of the pancreatic stellate cells that produce the extracellular matrix and by reprogramming immune cells to reduce inflammation. Our findings in cellular and animal models and in patient tumor samples also indicate that this beneficial effect may be most prevalent in overweight and obese patients, who appear to have tumors with increased fibrosis. Dr. Incio: Nearly 200 clinical trials are currently underway investigating the effect of metformin on tumors in both diabetic and non-diabetic patients. Understanding the mechanism behind metformin’s effects on pancreatic and other cancers may help us identify biomarkers – such as patient body weight and increased tumor fibrosis – that can identify the patients for whom metformin treatment would be most beneficial. Dr. Jain: Today, for several cancer types including of breast and pancreas, majority of the patients are overweight or obese at diagnosis. We therefore should incorporate the important parameter of body weight in the design of pre-clinical studies in order to better recapitulate the clinical reality of (lack of) response to conventional therapies (e.g. chemotherapy). Understanding the yet elusive mechanisms of action of metformin may provide an opportunity to uncover potential biomarkers of response and define strategies of patient stratification for the judicious use of this highly promising yet generic drug. Our study indicates that metformin may not be beneficial in normal weight patients, and suggests that BMI should be explored as a potential biomarker of response to this drug. PLoS One. 2015 Dec 7;10(12):e0141392. doi: 10.1371/journal.pone.0141392. eCollection 2015. Metformin Reduces Desmoplasia in Pancreatic Cancer by Reprogramming Stellate Cells and Tumor-Associated Macrophages. Incio J1,2,3, Suboj P1,4, Chin SM1, Vardam-Kaur T1, Liu H1,5, Hato T1,6, Babykutty S1,7, Chen I1,8, Deshpande V9, Jain RK1, Fukumura D1. This entry was posted in Author Interviews, Brigham & Women's - Harvard, Pancreatic, Pharmacology, PLoS and tagged pancreatic cancer by Marie Benz MD FAAD. Bookmark the permalink.